Wattle Cafe/Bakery serves a delicious range of fresh wraps, sandwiches, pies, sausage rolls and made to order All Day Breakfast which includes Bacon and eggs or even delicious pancakes. Choose from the vast range of cakes, slices and biscuits plus a selection of beverages from tea, coffee, milkshakes, smoothies and spiders. Locally owned and operated, McDonald’s Broadbeach Niecon Plaza employs more than 50 crew members. Steps away from the beach, the restaurant offers an extensive range of burgers from the famous Big Mac to McChicken and other menu favourites including Chicken McNuggets, wraps and salads. Whether it’s a quick snack, a meal, a refreshing cold drink or a freshly-made barista coffee, McDonald’s Broadbeach Niecon Plaza has something for everyone. Hand Coffee is a hole in the wall café located in the Broadbeach CBD. 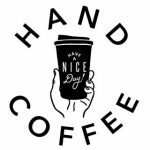 Serving Industry Beans coffee, HAND strives to ensure all customers Have A Nice Day. Dumpling and Noodle Haven located in the heart of Broadbeach directly opposite the Oasis Shopping Centre. Niecon Plaza is conveniently situated on the Broadbeach Mall and is within easy walking distance of the beach, open 7am till 9pm, 7 days a week.